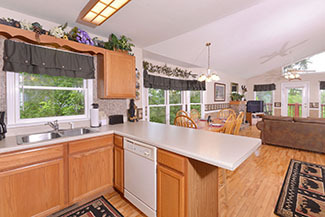 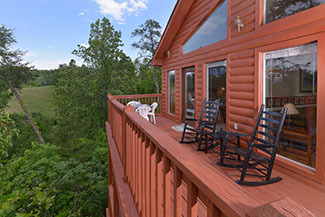 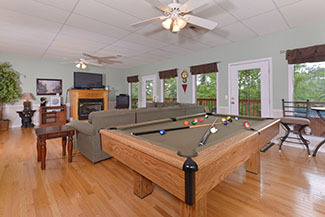 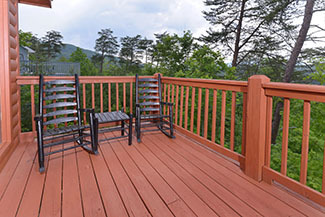 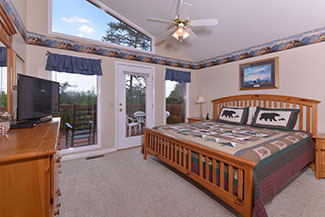 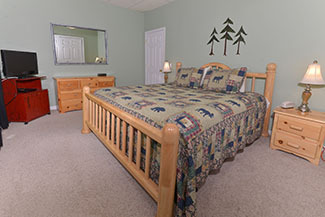 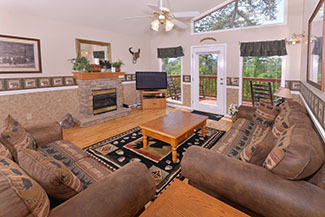 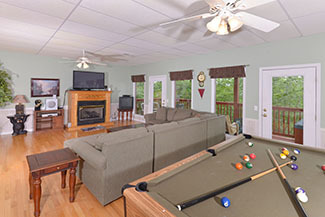 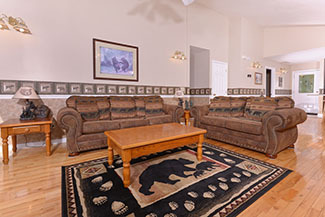 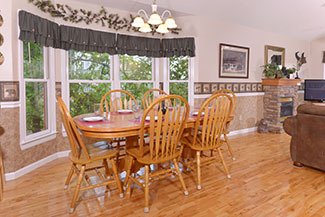 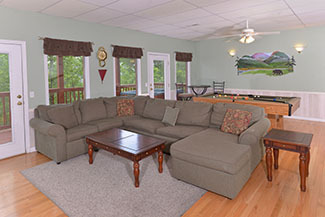 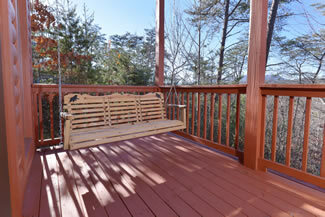 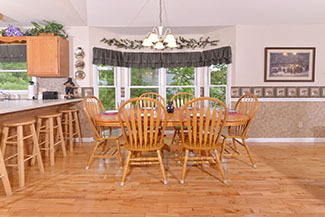 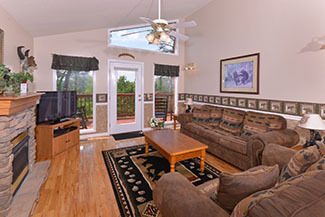 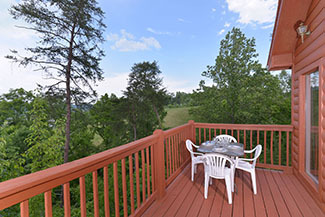 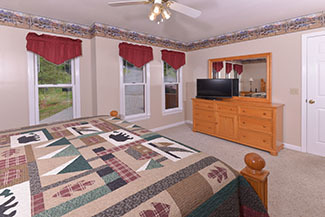 Pigeon Forge chalet rentals: Dancing with Bears is a 3 bedroom, 3 bath cedar chalet located about 1 mile from downtown Pigeon Forge. 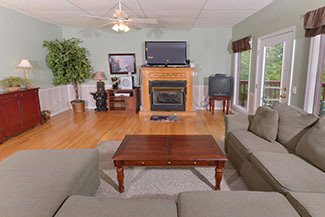 This wonderful chalet features 2 gas log fireplaces, 5 Flat Screen Televisions and 4 DVD Players, and Playstation. 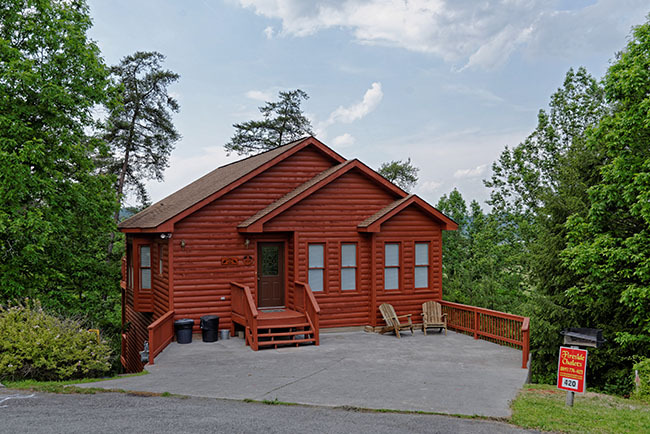 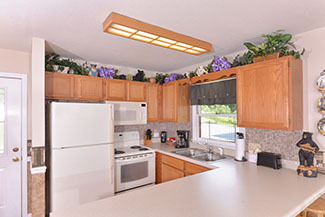 There is a full sized, fully equipped kitchen with dishwasher, microwave and coffeemaker, full size washer / dryer and charcoal cooking grill. 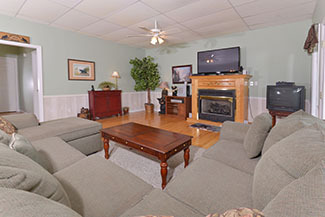 Sleeper sofa in the living room and large sectional in the downstairs den. 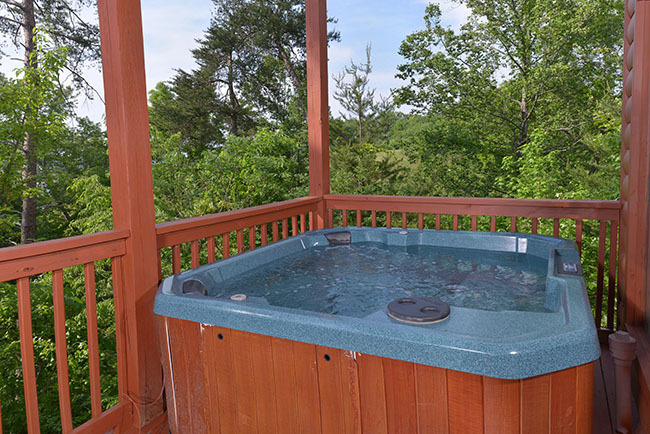 All 3 bedrooms have king size beds, with an indoor whirlpool in the upstairs master bathroom and one in the lower level bedroom !! 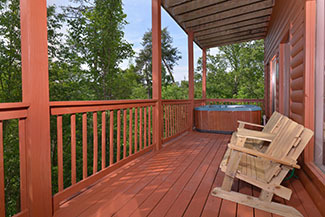 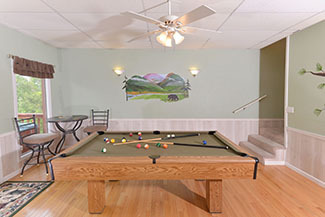 PLUS an outdoor hot tub on the lower covered porch and a regulation pool table and Playstation 2 as well.This cabin features Wireless internet access. 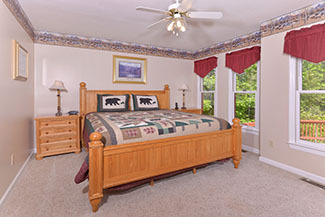 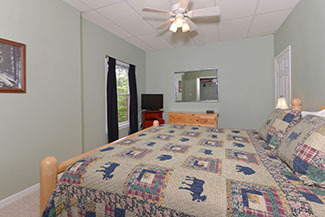 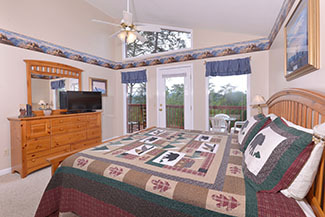 The Dancing with Bearss sleeps up to 8.No Smoking, No Pets Please.